This article is the text of my presentation given on Saturday, January 14 2017, at my local Ordo Templi Orientis body, Leaping Laughter Lodge in Minneapolis, Minnesota. Welcome to Leaping Laughter Lodge. My name is Scott Stenwick, and I am the author of Mastering the Mystical Heptarchy and Mastering the Great Table. Tonight I will be presenting an introduction to the Enochian magical system of John Dee and Edward Kelley. The Renaissance and Middle Ages produced many grimoires, a term referring to books of magick that include spirit names, sigils, hierarchies, conjurations, and so forth. In recent years, grimoire magick has grown in popularity. But where exactly did the material found in those grimoires come from? Generally speaking, it seems reasonable to suggest that such books were written down by magicians who obtained their methodologies from working directly with the spirits named in, or associated with, the grimoire in question. This process, though, remains largely mysterious with one key exception. In the late 16th century, John Dee spent seven years working with a scryer named Edward Kelley, and together the two men transcribed one of the most remarkable systems of magick in all of history. Dee was one of the most learned men in England, and owned one of the largest libraries in Europe at his home in Mortlake. He undertook magical work with Kelley because he sought insights into the nature of spiritual reality that he could not find in his books. Dee meticulously documented his work with Kelley, along with all of the material that the two of them received from the various angels that they conjured and communicated with. The records that we have span the full seven years, and include all of the back and forth that went on between the two men and the angels. So in effect, the Enochian system is the only grimoire, or set of grimoires, on the planet for which we have the underlying “source code,” to use a computer programming metaphor. It is likely that such processes produced other grimoires as well, but we are not privy to any records of those operations because they have been lost over time – if they were ever even written down at all. Neither Dee nor Kelley ever referred to the resulting system as "Enochian." This term was coined much later, as in the diaries documenting the work, Dee expressed a desire to walk with God as did the mythological Enoch. Also, the spirits revealed to them an opening prayer that was described as the "Prayer of Enoch." Dee and Kelley usually referred to the magical system and the unique language found within it as "Angelical" - that is, "Angelic" in modern parlance - when they referred to either by name at all. I refer to the system as Enochian in my own works only because that is the name that modern people best know and associate with the system. Dee himself never finished writing up working procedures for the full system. He did finish a portion of it, adapting a substantial portion of the earlier sessions into the 1588 Heptarchia Mystica. The Heptarchia is not quite as idiosyncratic as the material from the later sessions, and resembles other planetary grimoires of the period such as the Arbatel. In the Heptarchia, conjurations are given for sixteen spirits – the King and Prince corresponding to each day of the week, and Carmara and Hagonel, the King and Prince who rule over the system as a whole. Some of these spirits are considered to be different manifestations of the same entity. As one example, Baligon, the King for Friday, explicitly identified himself to Dee as another form of Carmara. Who art Prince of the Seas: Thy Powre is uppon the waters. Thow drownedst Pharao: and hast destroyed the wycked. Thy Name was known to Moyses. Thow liuedst in Israel: who hast measured the waters: who wast with King Salomon: and allso long after that with Scotus: but not known to him by thy true Name: for he called the Mares. And since thow wast with none: Except, when, thow preservedst me, (throwgh the Mercy of GOD) from the powr of the wicked: and wast with me in extremities. Thow wast with me throwghly. Who, of the Egyptians, hast byn called OBELISON: in respect of thy pleasant deliuerance. And by that Name, to me knowne: and of me Noted in Record, to be the Noble and Curteous OBELISON: Whose Noble Ministers 42, are of very great powre, dignitie and Authoritie. As some in the Measuring of the motions of the waters, and saltnes of the seas: in giving good success in battayles, reducing ships, and all manner of vessells, that fleete uppon the seas. To some, all the fishes, and Monsters of the seas, yea, all, that liueth therin, are well knowne: And Generally, are the Distributers of Gods Judgments uppon the Waters, that couer the Earth. Other do beautify Nature in her Composition. The rest are distributers and Deliuerers of the Threasores, and unknown substances of the Seas. This conjuration is longer and more detailed than any of the others, and also includes more personal qualifiers specific to Dee. It seems to me that if in the year 1588, Dee – a member of Queen Elizabeth’s royal court – was preserved from the power of the wicked by a “Prince of the Seas” whose abilities include giving success in battles, and reducing ships and all manner of vessels, the most obvious explanation is that this is an allusion to the defeat of the Spanish Armada. It also suggests that the notion, put forth by some authors, that Dee never worked the magick of his system is most likely wrong. It sounds like he did work the Heptarchia, at least in this one case. And, in fact, the attack of the Armada proved to be one of the most ill-fated military ventures of all time. Everything that could have gone wrong did, including a portion of the Armada running headfirst into a rare North Atlantic hurricane (!) on its attempt to return to Spain. It is also worth noting that Spain launched two more Armadas against England, in 1596 and 1597, which were both destroyed by storms. There are no records of any magical work against them taking place, but I find myself wondering whether Elizabeth called on Dee to cast against those two attacks as well. Had any of the Spanish attacks succeeded, our world would be vastly different than it is today. The defeat of the original Armada transformed the nature of naval combat, and set the stage for the building of the British Empire, which according to some sources was proposed to Elizabeth by Dee himself. If magick did play a role in that pivotal event, it is safe to say that this would be one of the few known cases where the conjuration of a spirit did indeed determine the destiny of the world. It is hard to even imagine what today’s world would look like if the British Empire had never come to pass, but instead had been conquered by Spain. Magicians have attempted to syncretize and expand Dee and Kelley's work for hundreds of years. A subset of the material was first published by clergyman Meric Causaubon in 1659. Causaubon hoped to dispel some of the mystique that had built up around the person of John Dee by publishing Dee's diaries, which Causaubon believed clearly showed Dee being led astray by demons. Apparently, though, many readers disagreed, and Causaubon would likely be scandalized by the fact that his main contribution to history was getting Dee's diaries into the hands of other magicians. Around 1700, a book called The Treatise on Angel Magic attributed to a "Dr. Rudd" was published by Peter Smart, who claimed to be the book's editor but who may have also written the entire thing. This book represents the first known attempt to syncretize Dee and Kelley's work with other grimoire systems of the time. If you happen to come across Enochian implements that also bear the names of the Goetic demons of the Lemegeton, they are almost certainly from the Treatise. There is otherwise no connection between the two groups of spirits. Over the years, people have come up with all sorts of different ideas about the true nature of disembodied entities. After many years of experimentation, what I can say is that the most straightforward explanation seems to be the most correct - that spirits are mostly disembodied independent beings with their own individual minds and personalities. Even if that turns out to not be the case, as Aleister Crowley notes, magical rituals still work better if you conceptualize them that way. For a long time, psychoanalytic theory implied that spirits could exist as contents of the "deep mind," and therefore could in fact be psychological projections of some sort. But the problem there is that, as modern neuroscience has shown over the last several decades, there really is no such thing as a coherent "deep mind" or "unconscious mind." This is not to say that the nervous system does no unconscious processing - it certainly does - but that those processes are basically mechanical in nature and do not share many characteristics with what we generally call a "mind." The Boltzmann brains concept is often stated as a physical paradox. It has also been called the "Boltzmann babies paradox". The paradox states that if one considers the probability of our current situation as self-aware entities embedded in an organized environment versus the probability of stand-alone self-aware entities existing in a featureless thermodynamic "soup", then the latter should be vastly more probable than the former. It should be clear that a self-aware entity arising from a "featureless thermodynamic soup" is precisely the sort of being that we magicians normally describe as a spirit. So there is no paradox at all, so long as we operate under the assumption that there are far more spirits in the universe than human beings and other more physical forms of sapient life. Quantum physicists commonly dismiss this resolution on the grounds that it "doesn't line up with the physical reality that we experience," completely ignoring that traffic with disembodied entities has been the rule rather than the exception throughout all of human history with the exception of perhaps the last fifty to a hundred years. Even a hundred years is pushing it, as spiritualism was still quite popular in the early 20th century. So I'm going to be proceeding from the assumption that spirits exist as real, external entities. Generally speaking, there are two classes of spirits. These can be described as Celestial and Cthonic. Celestials are the spirits of the air and sky, and Chthonics are the spirits of the underworld. The Christian system massively simplifies this system by referring to Celestials as Angels and Chthonics as demons, and these classifications survive in many if not most of the old grimoires. But to apply moral qualities to spirits based on this classification is misguided. The reality is that some Celestials are hostile, whereas some Cthonics are friendly. Not only that, much of the time how well you get on with a spirit depends on how well you and the spirit can relate to each other, just as it does with friendships and alliances between individual people. You may at some point meet a magician who gets along great with a spirit that can't seem to stand you, and this is not all that unusual a state of affairs. For the most part, the spirits of the Enochian system are Celestials, and as such Dee described them as Angels based on his Christian beliefs. The system does include one set of Cacodemons that may be considered Cthonics, but they are not generally the focus of the system for most magicians. Some of the confusion about whether the Enochian entities are "really" Angels comes from the fact that at times, they do come off as downright hostile. Actually, though, this is often what working with real spirits can be like. In the late 19th century, the original Hermetic Order of the Golden Dawn created the most extensive expansion of Dee and Kelley's system in all of history. The founders of the group put together an extensive collection of new correspondences and structures that merged the original Enochian material with the Hermetic Qabalah on which the rest of the Golden Dawn system was based. The result is powerful in its own right, but it should not be confused with the original system. It is very different, and far more complex. The Golden Dawn material is sometimes described as "Neo-Enochian," and my books are sometimes lumped into that category because I include modern ceremonial forms such as the Golden Dawn pentagram and hexagram rituals as optional components in my ritual templates. However, the attributions I use for the Heptarchial and Great Table entities are all derived directly from Dee's diaries and not from the Golden Dawn. In an earlier presentation, I proposed that they should perhaps be regarded as "Meso-Enochian" or some similar term. According to Dee and Kelley's system, an Enochian temple requires a lot of specialized equipment. The first is an altar table called the Holy Table. This should not be confused with the "Great Table," a grid containing the names of the entities related to the four Castles or Watchtowers. The table should be three feet square and three feet high, about the dimensions of a card table. It should be made from "Sweet Wood." Geoffrey James, in The Enochian Evocation of Dr. John Dee, suggests that this might be cedar, but I have heard from other sources that in Renaissance parlance this refers to wood from a tree that bears fruit. Generally speaking, cedar is relatively easy to obtain, as is cherry, probably the easiest-to-find wood from a tree that bears fruit. Back when I built mine I wound up using oak, which does not necessarily fit. As a stretch, I suppose you could describe an acorn as a fruit, but I doubt that interpretation would pass Renaissance muster. But it should be understood that it is not necessary to match all the equipment exactly to get good results from the system. Generally speaking, the closer your setup is, the better your results will be, but once the basics are in place the improvement seems to be incremental. The Holy Table is painted with a design consisting of a grid of Angelic letters in the center, a border of Angelic letters around the edges, and a large hexagram. This should all be painted in yellow. If you look online you will find a lot of variation, and if you find a different color scheme more appealing when making your own, that seems to be fine. Many magicians get good results with Holy Tables painted in other colors besides yellow. You should take care to use the correct version of the letters for the Holy Table. For whatever reason, Causaubon rendered the letters on the central grid of the table backwards when he published his version of the diaries. A marble version of the Holy Table, found in the Museum of the History of Science in Oxford, UK, is based on Causaubon's design and is therefore incorrect. In the center of the Holy Table is placed a wax disk called the Sigillum Dei Aemeth, or "True Sigil of God." This disk is nine inches in diameter, about an inch thick, and adorned with a complex design on the top side employing a pentagram and heptagram along with the names of various angels. The bottom bears a much simpler design consisting of an augmented cross and the acronym or notariquon AGLA, which stands for "Atah Gibor Le-olam Adonai," or "You, O Lord, are mighty forever." The four legs of the table are supposed to rest on half-scale versions of the Sigillum, 4.5 inches in diameter. Around the Sigillum are placed seven talismans corresponding to the seven ancient planets called the Ensigns of Creation. Dee and Kelley were originally told to engrave these from purified tin, but after much cajoling the Angels allowed them to paint the Ensigns onto the Holy Table using blue lines and red letters. The entire apparatus rests on a red silk cloth or rug, and is covered with a cloth of "changeable red and green silk." There is a commercial silk called "Tabasco" that you can find at many fabric stores that works well for this purpose. A crystal called a "shewstone" is then placed in the center of the large Sigillum on top of the cloth, for the purpose of scrying. It should be noted that scrying is not the only thing you can do with the Enochian system, even though it sometimes seems that way based on what has been published. For practical operations that do not involve scrying, you can place another spell focus such as a candle, a magical link to a target, or whatever else you want to use for your spell in place of the crystal. Note that a candle should be place on something that will insulate the wax underneath from heat if you plan on letting a candle burn all the way down. The Holy Table is surrounded by twelve banners bearing the twelve names of God from the Great Table (not the Holy Table!) - ORO, IBAH, AOZPI, MPH, ARSL, GAIOL, OIP, TEAA, PDOCE, MOR, DIAL, and HCTGA. These begin in the northeast and proceed clockwise to line up with the final version of the Great Table, the 1587 Tabula Recensa. On the Great Table, upper left is East, upper right is South, lower right is West, and lower left is North. For Enochian operations you should wear a white linen robe. Cotton or some other natural fiber will work fine, too. You wear a lamen that consists of an arrangement of Angelic letters over your heart, and a ring bearing a particular design on your finger. The Angels were very adamant about the use of the ring - they told Dee and Kelley that without it, they would "accomplish nothing." The ring is supposed to be made of gold, but brass makes a good substitute. The lamen was originally supposed to be parchment, but I made mine from brass as well with a ribbon that suspends it from my neck. Finally, talismans are explicitly required for the Heptarchial entities. It is not clear whether you use them with entities from the Great Table, but I do it anyway. Possible designs for these (though not the only possible designs) can be found in my books. Unlike a number of other grimoire systems, you do not place the talisman in the center of the Sigillum with the crystal. Instead, you place the talisman on the ground and stand upon it while reciting the conjuration. So that's the basic setup. I want to take some time here to talk about some dumb ideas that you may have encountered looking into Enochian and/or grimoire magick. The first big one of these is Donald Tyson's "Enochian Apocalypse." Tyson, noting that the Angelic Keys and other pieces of source material contain a lot of apocalyptic imagery, promulgated the argument back in the 1990s that performing Enochian magick could "unleash the Apocalypse." And the thing is, he clearly is not talking about "apocalypse" as some sort of explosive personal revelation, which is an idea I could totally get behind. Enochian magick has a great deal of potential for self-knowledge and self-transformation, and the word “apocalypse” actually means “revelation” or “realization.” Tyson, however, appears to mean it as the full Millerite Rapture and destruction of the world, which is an idea that has only really existed since the 1800's. It certainly would not be how Dee and Kelley would have interpreted any of the material in the late 1500’s. I do want to point out here that Brother Rufus Opus, who was present the talk, added that he had corresponded with Donald Tyson regarding this issue. Tyson is now apparently claiming that he does mean it in the Gnostic sense - so basically, what I just described in the first sentence of the previous paragraph. However, it is pretty clear that at least when he was writing Tetragrammaton, he was talking about a physical event. If he didn't mean it that way, why did he write it that way? Tyson goes on to argue in his book Tetragrammaton that the two world wars could have been caused by Crowley working with the Enochian system, instead of geopolitical forces that had been building up for decades, which is ridiculous. He adds that more magicians working with the Enochian system could be responsible for increases in crime, vandalism, and so forth, which is likewise totally silly. Also, as history has unfolded since he made this prediction, with Enochian magick becoming more and more popular, it looks worse for him every year – unless, I suppose, you believe that the Biblical apocalypse really refers to the election of Donald Trump. To give an example, I began my Enochian work in 1991. The system only became more popular throughout the 1990's, with a lot more people in the United States doing it. Crime in the states peaked in 1991, and has been declining ever since except for a slight uptick over the last two years, as I got further and further behind on the final Enochian book in my series, Mastering the Thirty Aires. So based on that data, you could make the case that when I'm working Enochian magick crime goes down, and when I get behind on my Enochian writing, it goes up. Needless to say, I don't believe that for a second. But the data renders Tyson's claim even more implausible than it might otherwise be. I still find myself wondering if he even believes it himself, honestly, because his next book after Tetragrammaton was Enochian Magic for Beginners. If you're worried that a particular system of magick is literally going to destroy the world, which you believe will include all sorts of bad things (like most reasonable people who are not fundamentalist extremists do), why on Earth would you ever want to teach beginners how to do it? Wars, crime, and vandalism are physical effects, full stop. Furthermore, I know of no Gnostic school that teaches the attainment of personal revelation - that is, Gnosis - as something that will increase wars and crime. In fact, the whole point of Gnosis is that it is a spiritual awakening experienced by a particular individual. 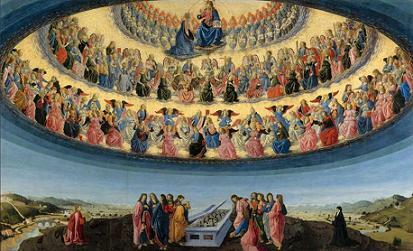 1st century Gnostics may have seen the physical world as evil, but the proper response taught in every single one of those schools was (A) to become an ascetic, seeking the spiritual light in place of any corrupting material influences, and (B) seek to guide others to obtain Gnosis for themselves. So it's possible that Tyson may have changed his mind over the years, but as I see it he owes the magical community - and particularly the Enochian magical community - a full retraction of his previous views. Next on the list, and somewhat related to the previous point, is the idea that Enochian magick as a system is in some way particularly dangerous. This is not the case. It can be dangerous, since working with anything powerful involves an element of risk. But I do not believe it to be any more dangerous than other system of magick. In fact, the opposite argument could be made, in that the Enochian system is full of protective equipment that many other systems lack. Famously, the “dangerous” reputation of Enochian magick can be traced back to Builders of the Adytum founder Paul Foster Case, who at one point wrote to Israel Regardie that he had seen a number of people affected badly by Enochian work. Case went so far as to adapt the system for his order by taking the original Golden Dawn system and removing every single reference to Enochian found within it. At the same time, though, all of that protective equipment? The Golden Dawn system that Case’s associates were practicing does not employ any of it. Critics of the Enochian system also like to point out that Kelley was at least a somewhat disreputable character. The attitude taken by early biographers was the Dee was taken in by Kelley, who was basically a confidence artist. The problem there is that if Kelley really was making up all the Enochian material, he was unbelievably good at it. The system shows a remarkable level of complexity and consistency throughout the seven years. It was proposed at one point that Kelley may have been working off some sort of "mystery grimoire" that was unknown to Dee, from which he memorized portions and repeated back for his scrying sessions, but the problem with that idea is that while the Enochian system has elements that resemble those from a handful of other grimoires of the period, much of it appears to be entirely original and no such "mystery grimoire" containing material like the Angelic Keys and so forth has ever been discovered. More recent biographers of Dee have taken a more nuanced approach. There's little doubt that at various times in his life, Kelley ran confidence schemes. He in fact died from injuries sustained while escaping from prison, where he was placed for claiming to be able to create gold by alchemical means and then failing to do so. But as no better explanation has come forward, it would seem that the scope and detail of the Enochian material also suggests that he had a real psychic gift. Some have taken this incident as evidence of Kelley’s con artistry, as Dee was much richer and his wife was also substantially younger. But it also is true that Kelley did not go on to press his advantage by appropriating any of Dee’s property, or even romancing his wife beyond the one incident. It would seem that if he were working an angle, he would have come out of the situation much better off. As this was one isolated incident, it is hard to say what the intent of the angel was in making this proclamation, but it is true that after Dee and Kelley parted, Dee attempted to work with other scryers and had far less success. It does seem that in at least a metaphoric sense, the two really did need to work together “as one” to get the results that went on to become the foundation of the system. These next two bad ideas apply to grimoire magick in general, of which I consider Enochian a subset. In Ceremonial Magic and the Power of Evocation, Joseph Lisiewski argues that not only is daily magical practice irrelevant, but that unless you experience full-on poltergeist activity in your temple, you have not really called a spirit (!). Those assertions are so utterly alien to my experiences that I literally had no idea what to make of them when I first read the book. I have no trouble sensing the presence of spirits with or without poltergeist activity, and my rituals calling upon them are generally successful. It seems that Lisiewski’s findings were quite different than mine. In my experience, you do not generally get poltergeist activity when you summon an Enochian entity. Lisiewski mostly worked with the Heptameron, a grimoire with which I am not that familiar, but I find it hard to believe that the Heptameron spirits are all poltergeists – and if they are, why would you ever call them, unless you were trying to win the Randi Challenge or something? What I have found with Enochian is that often there are some minor physical effects - the center of the Holy Table feels like it is radiating heat or cold, candle flames flicker oddly, and a small spike can sometimes be measured on an EMF detector - and that's about it. Furthermore, even those physical effects do not seem to correlate at all with success or failure of the ritual, contrary to Lisiewski's assertions. This is essentially a "spirit-only" paradigm of magick, which in my opinion parapsychology should have put to rest decades ago. If magical effects are only produced by spirits, you can see where both of these ideas might make sense. You don't need daily practice if all you're doing is basically dialing a telephone number, and the poltergeist phenomena are just the results of the spirit answering. But this does not seem to be at all the case in my experience - when working with a spirit, the effect seems to be a combination of your own magical power with that of the spirit. So in my opinion, daily practice is important to keeping your own magical power at the ready, and as the spirit is forming a connection with your own sphere of awareness, you don't need it to be wasting power on producing parlor tricks or even impressive effects that have no bearing on the reason that you summoned it in the first place. If anything, I would think that expending power on such effects would reduce the amount of overall power available for the spell, but I can't say for sure whether or not that is the case. Incidentally, this is also how multiple people can call the same spirit at the same time and both get manifestations. The spirit that you conjure is a manifestation or emanation of the “base spirit” that arises from its connection to you, the magician. Finally, grimoire magick is not "shamanism" in any particularly meaningful sense. This is a pet assertion of Aaron Leitch, author of Secrets of the Magical Grimoires. The problem is that Leitch defines "shamanism" as "anything involving working with objective spirits," which is a definition so general as to be practically useless. Even setting aside the appropriation angle that has made the term so problematic in New Age circles, there are more models of magick in the world than “shamanism” and psychology. However, Leitch seems to be making the case that those are the only two options, and neither he nor I buy the “psychological-only” magical paradigm. Leitch bases his argument on the observation that some of the same spirits appear in both the European grimoires and traditional African systems, which include techniques that are closer to the popular meaning of "shamanism" than the ceremonial style found in European grimoires. But I am of the opinion that lifting African techniques wholesale from their cultural context and dropping them does not make very much sense, and might result in a "toxic synthesis" emphasizing the worst aspects of both. So for example, I don't think that techniques like "spirit possession" such as are found in Yoruba and the various New World traditions descended from it are particularly useful in ceremonial magick. I've tried to employ spirit possession, but found the results hard to direct towards a specific goal. Also, I found the brief craze during which grimoire magicians tried to get themselves initiated into ATR systems in order to boost their grimoire work kind of silly. The European and African systems really are different, and trying to force them into the same box seems misguided at best. I also think the "shamanism" idea runs the risk of drifting into New Age territory, in which popular "shamanism" often involves the use of entheogens such as ayahuasca. I do not approve of that sort of work in a ceremonial context for the simple reason that when communicating with spirits, one of the most difficult parts is keeping your own thoughts distinct from those of the spirit in order to receive reliable, objective information. I could be wrong as I have stayed away from it in my own work and have no personal experience to draw upon, but it seems to me that entheogen use in that context would only confuse the matter further. And by the way, no, I'm not just making that up - I have seen people online arguing that entheogens should be used for grimoire operations, arguing that "It’s Shamanism!” and pointing to Leitch’s work – who, I should point out very clearly, does not recommend this method in any of his books or articles. However, I've never needed anything like that to get results, and I highly doubt that the benefits of such workings outweigh the costs, even if the legal considerations are entirely ignored. Entheogens may very well have their place in magick, but I highly doubt that communicating and working with spirits to get real, practical things accomplished is that place. So now that I've gotten some of the things that you don't want to do out of the way, here's what you actually do. The way I do it, Enochian magick is not nearly as complex as the Golden Dawn version. First, you set up and clear your working space. Then, you identify with the divine. Then, you conjure the spirit or spirits with which you are working by the proper controlling names. Finally, you deliver the charge and send the spirit on its way. Most grimoire systems employ a License to Depart to dismiss the spirits. No such piece can be found among Dee's diaries, so I usually either just do it in an impromtu fashion or use something similar to the License that I use with entities from other systems. You want to send the spirit on its way to accomplish your intent, by the name of and with the blessings of the controlling godname. If you wish to make offerings to the spirit, those follow the charge and precede the License to Depart. The version in my books has LBRP/Star Ruby, then LIRH/Star Sapphire, then Prayer of Enoch. The sequences are set up that way in order to work better with the custom Enochian rituals I included in the book, but both sequences should be analogous. The difference is whether you place the Prayer of Enoch before or after the invoking hexagram ritual. As I mentioned earlier, the Enochian system includes its own magical language, which Dee named “Angelical” – that is, Angelic – and which modern magicians usually refer to as “Enochian.” This language is found in the Angelic Keys, orations in the Angelic language that seem to correspond to portions of the Great Table or Watchtowers. An earlier form of the language can also be found in a set of communications that Dee titled Liber Loagaeth, but this language is different from language of the Keys. They allegedly share an alphabet, but that is as far as the similarities go. The language of Loagaeth was to be written on a series of 49 leaves. Dee was told that there are also 49 Angelic Keys, of which 48 are “to be sounded.” So there may be a relationship between the Angelic Keys and leaves of Loagaeth, but there is not enough evidence in the diaries to say with any certainty what that similarity might be. I proposed one set of correspondences on my blog at one point, and Aaron Leitch countered with his own version based on a different sequence. Either could be correct according what is in the diaries themselves, so it seems that this is a case where experimentation is probably necessary to determine which one works best according some objective measurement. One of the confusions between “Loagaeth Angelic” and “Key Angelic” is that Dee was told to write Liber Loagaeth from right to left, like Hebrew. The language of the Keys includes no such directive, but some authors have decided that the Loagaeth instruction applies to the whole system – meaning that words from the Keys, names from the Great Table, and so forth should be written from right to left. There is, however, no evidence that this is the case. In the diaries, Dee wrote out the Keys from left to right like in English. Furthermore, if you look at how the Angelic names corresponding to the quadrants of the Great Table are written, the vast majority are read from left to right. Another big issue that has come up over the years with respect to the Angelic language is how it should be pronounced. The Golden Dawn system originally employed a pronunciation scheme in which each consonant would be followed by the natural vowel from the Hebrew alphabet. When Aleister Crowley wrote up Liber Chanokh, his treatise on the Enochian system that was published in The Equinox, he decided for some reason to fully spell out the Golden Dawn pronounced version of the Angelic Keys, making it impossible to determine what the original letters were. The result provides some insight into how Angelic was originally pronounced in the Golden Dawn system, but otherwise it obfuscates the original material. Dee wrote up pronunciation notes that are currently housed in the British Museum, and what they show is that the language is mostly pronounced the way that it looks. For example, in the Golden Dawn system, the Angelic word V-O-R-S-G is pronounced like "vaoresaji" or "vaoresagi", whereas Dee notes that it sounds just like it looks - VORSG. The SG is an odd sound in English, but if you practice it like "VORSK" and then slowly soften the K into a hard G you will arrive at about the right sound. This is the case with the vast majority of odd consonant combinations that show up in the language, and while I will on occasion drop in a Golden Dawn-style vowel sound when faced with a particularly difficult word, I try to avoid it as much as I can in favor of practicing the language in order to get the unfamiliar letter combinations down. Much of the Enochian material can be read. Dee was never told to memorize anything, and was instructed to write down the material in a “Book of Spirits.” When I put together my books on Enochian magick, one of my goals was to publish books that could be used for precisely that purpose. In the ritual templates you will find page references that allow you to flip back and forth to the pieces that you need to complete the Heptarchial and Great Table rituals, and I highly recommend that you do so. Once you have the basics down, the only way to learn more about the magick is to do it. I furthermore believe that right off the bat, you should use the magick to accomplish practical things with the intention of improving your life. That is not to suggest that you should neglect mystical practices like meditation, but rather to push back against the notion pushed by some teachers that you should never try to do anything with magick until after you have spent some long period of time doing nothing but mystical work. You are not going to blow yourself up with magick even if you get some procedural thing wrong – usually, when magick fails, the result is just that nothing happens. What is nice about practical work is that it is, in effect, where the rubber hits the road. The results of mysticism are extremely valuable, but they take a long time to manifest and are essentially internal and subjective. They can neither be easily communicated nor easily measured. A ritual with a well-defined objective, on the other hand, either succeeds or fails. One of the most important functions of the magical diary is to record your practical rituals along with your results, so that you can learn over time what methods work best for you and are most likely to get your will accomplished. So as a beginning Enochian magician, I cannot recommend more strongly that you get on with the work, learn how to do it well, and use the magick to make your life better. And that is what magick is supposed to do – do not let anyone tell you otherwise. Magick should never become a path of trials that is more a curse than a blessing, and if your magick is making your life worse, I can say with some confidence that you are doing it wrong. The Enochian system is one of the most extensive and well-documented systems of magick in the history of the world, and once you unlock its mysteries for yourself you can use them to transform every aspect of your life for the better.